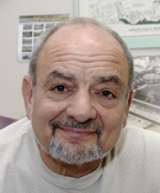 Emeritus Professor Joe Polacco has ‘de-emphasized’ research somewhat, but retains ties with labs in Europe and South America. He co-advises Brazilian students at MU or as a visiting professor (e.g. Wiebke-Ströhm et al. 2012), and pursues his long-standing interest in Ni activation (Polacco et al. 2011) of plant (mainly soybean) ureases. Ni roles in plant metabolism remain an interest (Polacco et al. 2013; Fabiano et al. 2015), esp. in economically important coffee and soybean. However, Polacco has turned more attention to urease roles in plant defense (insecticidal, inflammatory, and fungitoxic) (Tezotto et al. 2016) and rhizosphere signaling (Medeiros-Silva et al, 2014). Understanding defense roles was the aim of a Mizzou Advantage Undergraduate Research Team project in which Polacco, Dr. Gary Weisman (Biochemistry) and Dr. Qisheng Song (Entomology), directed a 6-member undergraduate research team to examine these properties. Intact Helicobacter pylori urease was found to work through the P2Y2R signaling pathways stimulating intracellular Ca2+ mobilization and mitogen-activated protein kinase (MAPK) activation in cultured astrocytes. The insecticidal effect of a specific urease sub-peptide is still being tested in Drosophila, an insect that lacks the gut cathepsins that release this peptide in urease-sensitive insects. If Drosophila proves sensitive, it will be subjected to genetic manipulation to identify the peptide’s target and mode of action. Polacco runs one or more sections in the Biochemistry capstone course for seniors. As a Visiting Professor (Sept/November, 2014) in the College of Agriculture (Escola Superior de Agricultura Luiz Queiroz) of the State University of São Paulo in Piracicaba, São Paulo (USP-ESALQ) Polacco lectured and advised agronomy graduate students. japonicum, are involved in the process of soybean root nodulation. Journal of Agricultural and Food Chemistry 2006; 62: 3517−3524. Polacco JC, Mazzafera P, Tezotto T. Opinion - Nickel and urease in plants: still many knowledge gaps. Plant Science 2013; 199-200: 79-90. Wiebke-Ströhm B, Pasquali G, Margis-Pinheiro M, Bencke M, Bücker-Neto L, Becker-Ritt AB, Martinelli AHS, Rechenmacher C, Polacco JC, et al. (2012) Ubiquitious urease affects soybean susceptibility to fungi. Plant Molecular Biology 79: 75-87. Polacco JC, Hyten DL, Medeiros-Silva M, Sleper DA, Bilyeu KD (2011) Mutational analysis of the major soybean UreF paralogue involved in urease activation. Journal of Experimental Botany 62: 3599–3608. Mazzafera P, Tezotto T, Polacco JC Roles of Ni in plants. Encyclopedia of Metalloproteins (SL Ciurli, ed) 2012. Springer, Berlin. Polacco JC, Hyten DL, Medeiros-Silva M, Sleper DA, Bilyeu KD (2011) Mutational analysis of the major soybean UreF paralogue involved in urease activation. Journal of Experimental Botany 2011;62: 3599–3608. Tovar-Mendez A, Todd CD and Polacco JC. The mitochondrial connection: Arginine degradation versus arginine conversion to nitric oxide. Plant Signaling and Behavior 2008;3:1106-1108. Flores T, Todd CD, Tovar-Mendez A, Dhanoa PK, Correa-Aragunde N, Hoyos ME, Brownfield DM, Mullen RT, Lamattina L and Polacco JC. Arginase-negative mutants of Arabidopsis exhibit increased nitric oxide signaling in root development. Plant Physiology 2008;147(4):1936-1946. Carlini CR and Polacco JC. Toxic properties of urease. Crop Science 2008;48(5):1665-1672. Bilyeu KD, Zeng P, Coello P, Zhang ZJ, Krishnan HB, Bailey A, Beuselinck PR and Polacco JC. Quantitative conversion of phytate to inorganic phosphorus in soybean seeds expressing a bacterial phytase. Plant Physiology 2008;146(2):468-477.